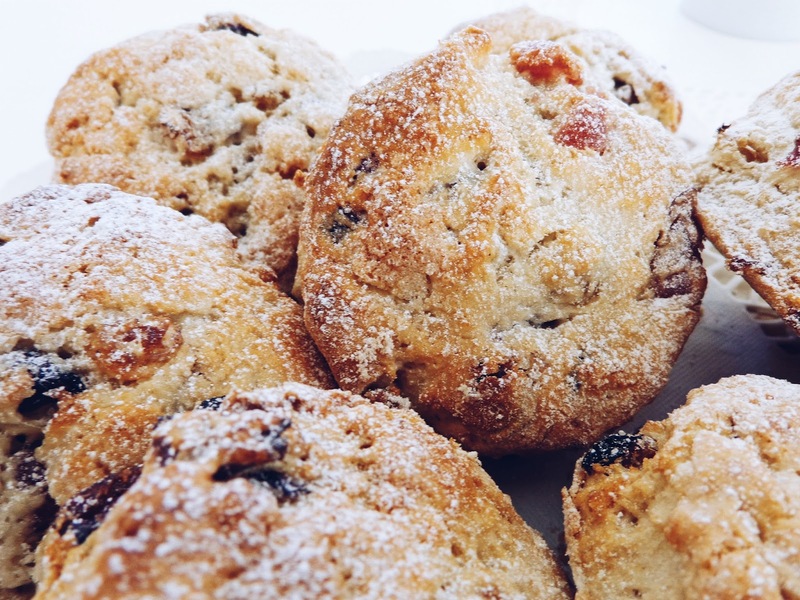 Today I'm taking things back to tradition with a recipe from my Mum's BeRo baking book - she's had it since she was little and we have always used it, so the recipes in it are well and truly tried and tested, traditional ones for home baking. 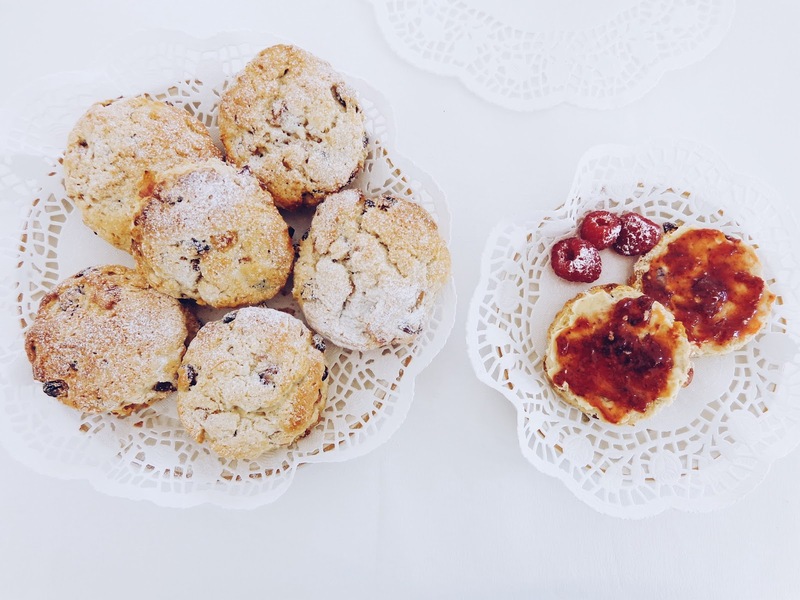 I think scones are one of the go to home bakes because they're basically a universal favourite and it just so happens everyone has their own take on how to make them or a 'secret' ingredient they like to add. I've made a seasonal variation today with 'Berries and Cherries' for a oh so fruity version of the classic teatime treat. 1. 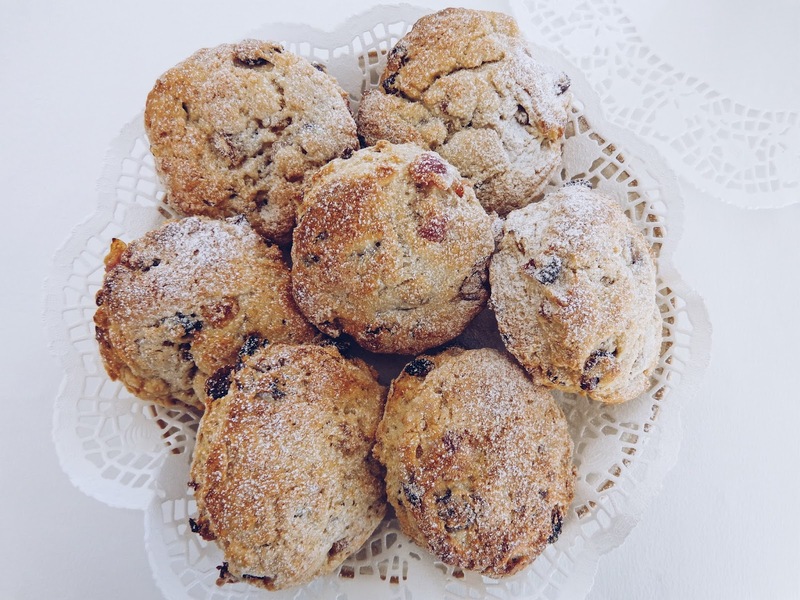 Combine the butter with the flour, before stirring in the sugar and dried fruits. 2. Add the egg, extract and milk and combine thoroughly until the mixture all holds together. 3. 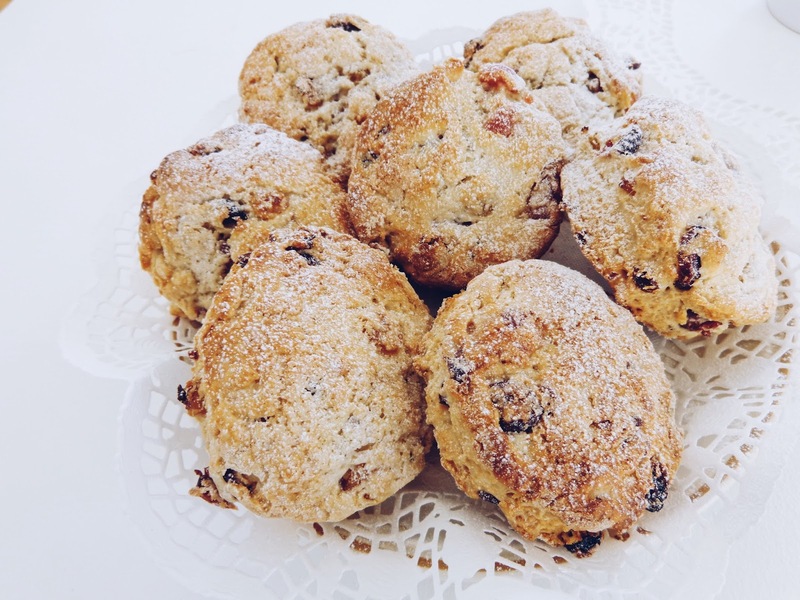 Roll out on a floured work surface and press out the scones with a scone cutter. 4. Once this is done, place them all on greaseproof paper on a baking tray, brush with milk and scatter some sugar if you like a sweet, crispy top and bake at 200 degrees centigrade (fan oven) for about 15 minutes (depending on how big you made them). 5. 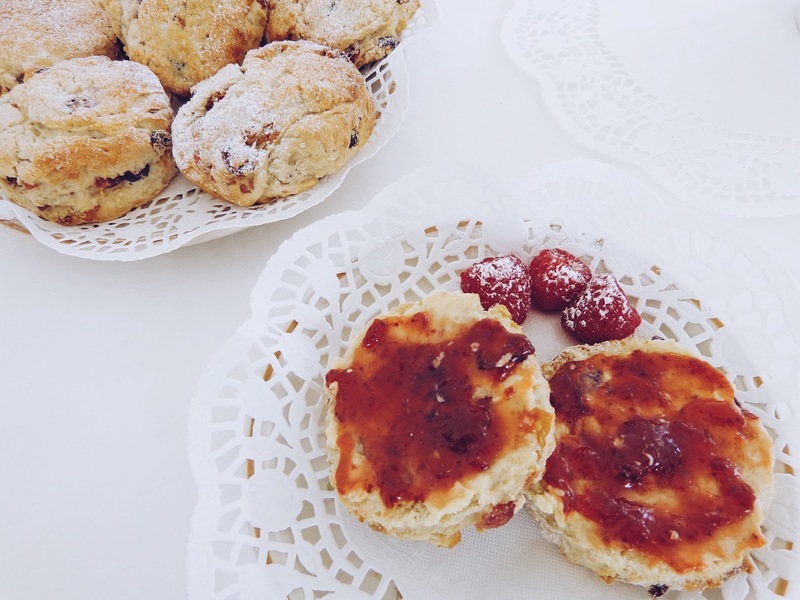 Allow to cool and serve with additions like butter/margarine and strawberry jam.